A note from Gaby Delgadillo, family friend: We are saddened to hear that the Ulloas lost their dad and Maria (Connie) her husband on November 30th in a tragic accident in Burbank, California. It hit me like a ton of bricks as I thought about the pain he and his family must be feeling. I questioned my life and my purpose. I wondered what I could possibly do to help relieve some of the pain. Others asked about sending flowers. Although beautiful, flowers come and go and I know that the Ulloa family is about creating legacies of contribution. It’s what the Ulloas stand for. It’s what made Galo Ulloa proud of his kids. What could be a wonderful gift that would make sense of all that had just happened? This led me to contacting Marc and Nathally Florio per Dave’s request as they are very involved in missionary work in Ecuador with an awesome foundation called La Esperanza. 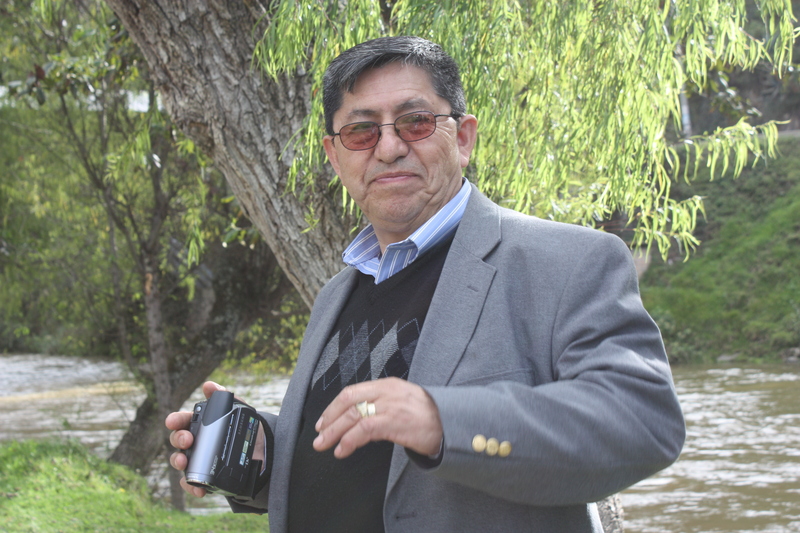 It happens to be in Cuenca which is where Galo was from. It is a children’s home for orphans which is so appropriate as Galo was an orphan, himself. 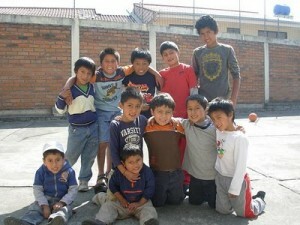 They are providing a loving home for 30 children and have already reached capacity. They have aspirations to give more and build a second home to house more children. The answer was right there: Wouldn’t it be wonderful if instead of sending flowers, we could help build a home for these wonderful children in Galo Ulloa’s name? The Ulloa family is an awesome example of paying it forward. 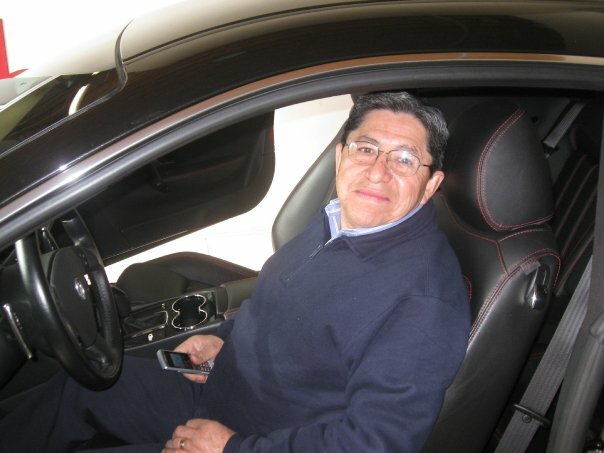 We would be honored if you joined us in paying it forward in the name of the Ulloa family. This is a great opportunity to make a difference. We are all about making a living, living. In a world where anything is possible and we have more then we need, let’s give these kids a roof over their heads and a place where they will be shown love and the love of Christ. and mail to this PO Box: Livin’ Full Time, Inc.
100% of money collected will be paid in one amount to the foundation and tax deductible for yourself. Once again, our goal is to raise enough money to complete a home in Galo’s name and complete his mission. With your heart, we will! 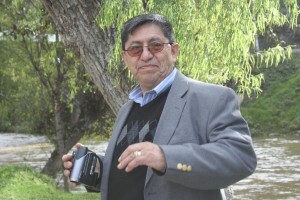 Galo G. Ulloa was born 12-26-1944 in Gualaceo Ecuador. He is survived by his wife of 40 years, Maria Consuelo Ulloa of Burbank California. Galo Ulloa was a man of humble beginings. He became orphaned at age 8 years old as a result of circumstances beyond his control. He worked along side his brother Miguel Ulloa for a time and then his Cousin George Ulloa, finding any and all odd jobs in order to survive including shining shoes and cleaning and maintaining boats along the pier where he and his cousin lived by themselves. As a young child he would carry luggage on a fairy because he was too young to get a job. He lived on small boats that were docked because he was too young to rent a place. At the age of 10 he learned how to fix shoes and started make extra money which allowed him and his cousin to finally pay for a place to live. Galo always figured out a way to survive and even thrive. 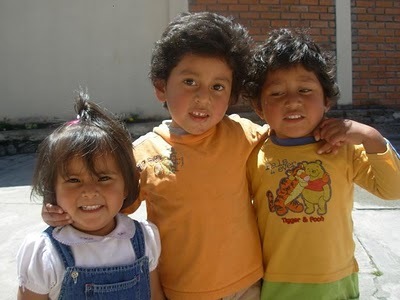 Galo had two children Mariana and Albert in Ecuador. Galo wanted a better life for himself and his family and moved to the USA. In New York he found and married his beautiful wife Maria Consuelo Ulloa. There he had his three kids Walter, Dave, and Amy. His American dream was to live, buy and payoff his home in the USA, so that his kids would always have a family and roof over their head which he did not have growing up. Galo accomplished his dream of paying off his house this month just before he passed working two humble jobs all his life. Galo was a man of great integrity, he only knew how to put his friends first. He never made excuses and worked 2 jobs to provide for his family a better life then he had. He was stubborn, but in a good way, in a way that compelled him to take any challenge and know for certain he would not fail. He would find a way to accomplish any dream he created for himself and his family. His soul only understood how to help others, may God reward our father who is now in heaven and life has rewarded him for 66 extraordinary years. Galo passed away on November 30, 2010 however his legacy will live forever. 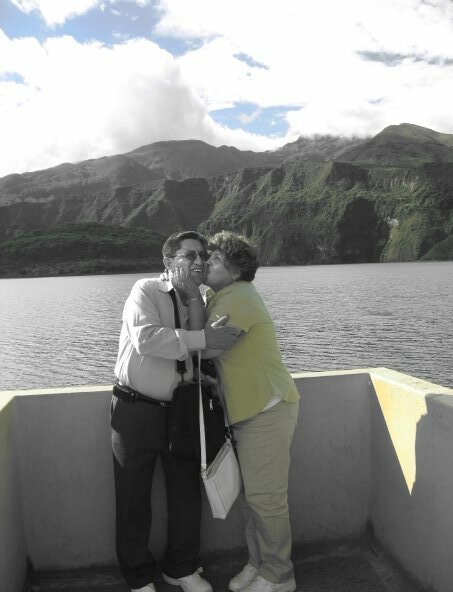 This entry was posted in Healing, Love and tagged Amy Ulloa, Cuenca, Dave Ulloa, Galo Ulloa, healing, La Esperanza, Walter Ulloa, Yvette Ulloa. Bookmark the permalink. Dave, the pain that you and your family are experiencing should definitely be outweighed by the proud fact at all the barriers that your father was able to overcome and all of the greatness he was able to achieve. I know that because of his ethics, teachings and persistent it has allowed you to become one of the most inspirational individuals that I have come across in my life. Just to be around you sometimes inspires me to achieve greatness and set new goals for myself. I know that your dad is looking down from heaven with a great smile on his face knowing that he has set you up for greatness in life, love and forever. May God hold you and your family in peace during this difficult time. Love ya Monico! Our love, prayers & hugs are with all of you now & always. May your treasured relationship, special times together & memories be a source of love, support, comfort, strength, hope & vision – now & always. I am so grateful for Dave & Yvette in my life, and grateful to their parents & families for nurturing such amazing people as individuals & a couple. Love, Prayers & Hugs to All. Dave, I just got the news. I am so sorry to hear about your loss. Our prayer are with you and your family. Even though I never met your dad, I know he was proud of you and the man you have become (from your story). My dad brags on me and I’m still amazed. Be encouraged and be of good cheer. You are your family are in our thoughts and prayers! 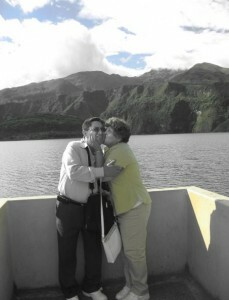 I have not seen the Ulloas in 24 years but I will always remember the happiness they brought our family. My prayers, along with those of my parish goes out to you. Thank you and Glory be to God. Very Nice website. I built mine and i was looking for some design ideas and your website gave me some. Did you develop the website alone? I did with the help of a friend!! Thank you so much! There are times that i dont read more than two lines but i think that your blog can be an exception. Cheers !